In a pressure cooker , take Toor Dal, Moong Dal,onion,tomato, green chilli , turmeric powder and salt. Add 2 cups of water and cook for 4-5 hisses. Once pressure went , open and mash the Dal using spoon and keep aside. Heat oil in a pan, add items under 'To Temper' once splutter add it to Dal mixture. 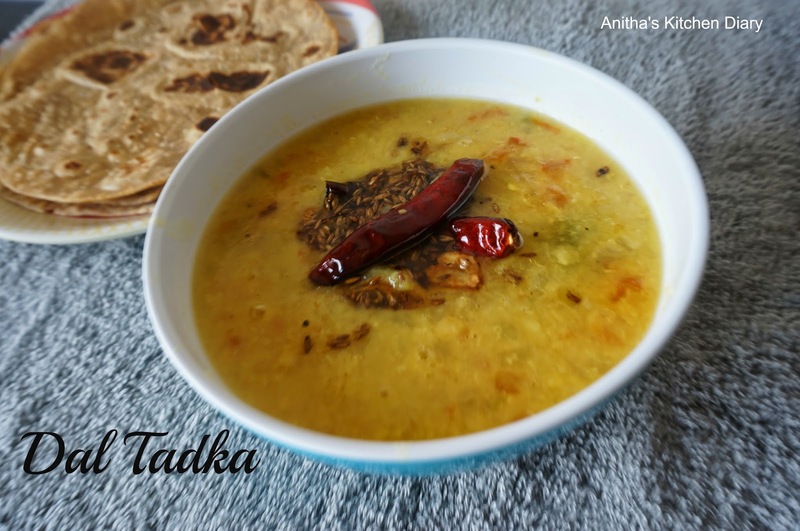 Serve it along with Plain Rice ,Chapathi or Pulka.